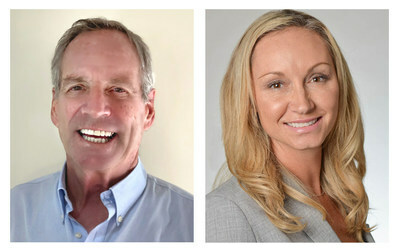 NAPA, Calif., March 20, 2019 /PRNewswire/ -- Golden Gate Sotheby's International Realty announced top producing Wine Country agent Jeffrey Earl Warren has joined the prestigious San Francisco Bay Area real estate brokerage. Besides selling major Napa Valley estates to glitterati like Carmen Policy and Adam Bronfman, Warren, a self-described "dirt salesman," is renowned in Napa Valley for having sold and brokered some of the most significant vineyard sales in the region's history. Warren, who grew up on a ranch just five miles from downtown Saint Helena, worked in advertising as a Vice President and Creative Director of New York-based firm J. Walter Thompson before moving back to Saint Helena with his growing family to focus on real estate. From 1960 to 2014, his family brokerage James Warren & Son was the leading winery and vineyard real estate office in Napa Valley. A former partner himself in Freemark Abbey Winery, his notable clients included the biggest names in the valley and wine industry, among them the Mondavi Family, Warren Winiarski (winner of the 1976 Paris Tasting), Andy Beckstoffer, Joseph Phelps Winery, Charles Krug, Joel Gott Wines, Staglin, and countless others. "Often people ask why we've sold more land for more dollars over the last 50 years than any other office. Well, it starts with the boots. It's about tromping around in the dirt?acquiring an intimate understanding of the land which separates Napa Valley from anywhere else on Earth. Our competitive edge is knowledge. In fact, we don't sell land?we sell knowledge. We toss in the land for free," says Warren. "Our decision to join Golden Gate Sotheby's International Realty was a natural fit. My business partner, Sieba Peterson, and I gravitated to the brokerage to support us in delivering the best service to our clients, from innovative marketing and local expertise to a truly global reach that only the Sotheby's International Realty brand can provide," says Warren. "It's been a great move and fit." Since 2015, Warren has had a host of significant sales including: Accendo Cellars' purchase of a winery site on Zinfandel Lane (now Wheeler Farms Winery) for $6,500,000; the (then) most expensive 40-acre vineyard in Napa County for $9,300,000; and Garrin Staglin's purchase of the most expensive "replant" in Napa's history, 18 acres on Bella Oaks Lane for $11,025,000. Warren sees his team's access and connection to clients with extreme financial capability as an unparalleled advantage. Warren, who is the grandson of the late California Governor and U.S. Supreme Court Chief Justice Earl Warren, resides in Saint Helena with his wife, Cindy Horn. Admittedly, Warren won't be found behind a desk at one of the brokerage's Napa Valley offices, but rather out in the field making connections and doing what he does best. Warren: "We have the dirtiest boots in the Valley, and we're proud of it."